Schoonschip is an Amsterdam based building group. 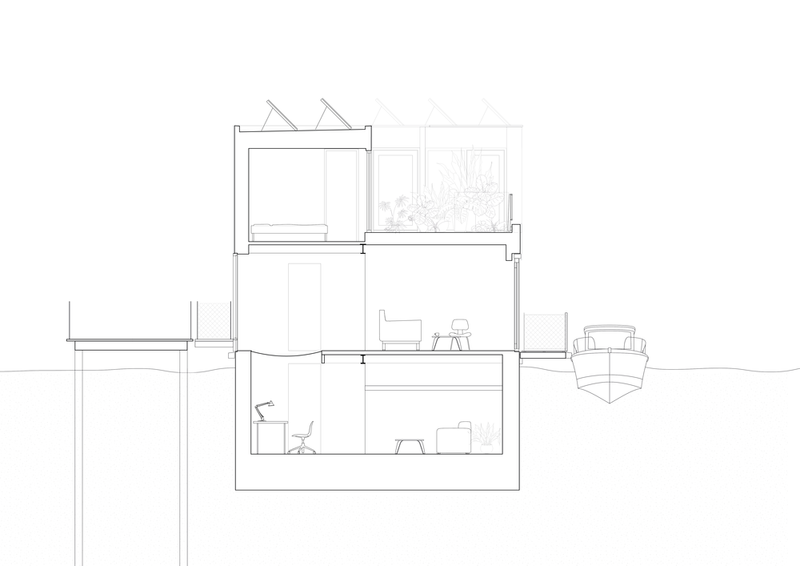 This diverse group aims to develop and build their own sustainable floating neighborhood. 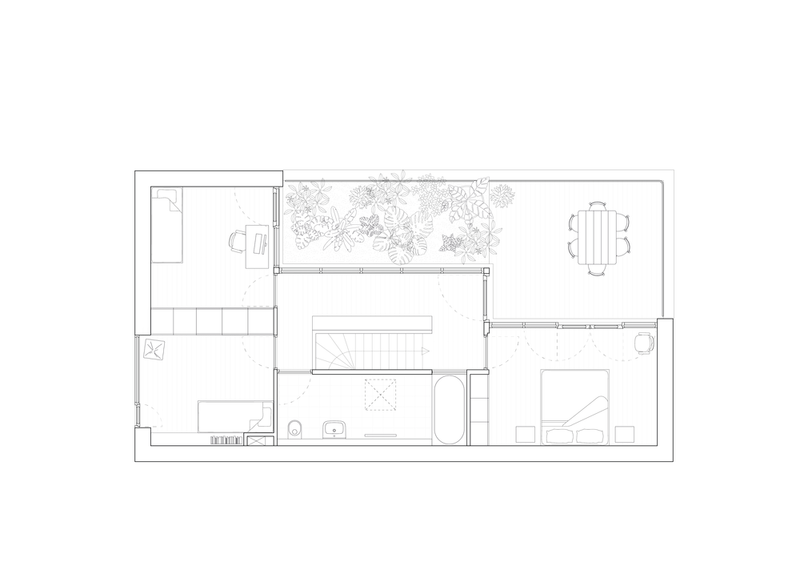 Houseboat 9 is one of the 30 houseboats, which space&matter designed and executes. The sustainable ambition is extremely high. An integrated strategy is developed, in which the energy, water and ventilation system are optimized. The house will serve as a producer, which trades its energy with Schoonschip's smart grid in the most efficient way. The water system is innovative, too. Rainwater is collected and used for flushing the toilets. Brown and black water will be separated and with a vacuum system transported to the cay. Due to the high insulation value and the orientation the energy demand of this house will be very low. The houseboat has a concrete pontoon and a light wooden frame construction on top. This construction method reduces the building time of the raw building to 6 weeks. It will be prefabricated in a factory, so the energy consumption and waste production will be monitored and optimized already during the building process. A split-level in the ground floor allows the visual connection to the lower floor.